Many wild claims are made about so-called article spinners. The most exaggerated ones claim to write complete articles for you. Sadly, as yet there is no such program that can do that. If there were I would have bought it a long time ago, and paid almost any price for it. Any programmer that succeeds in this will surely make a LOT of money. However there are article spinners that while not being able to create quality content via the click of a mouse, are able to REWRITE your content. This is mostly done by using synonyms, i.e. replacing words with those of the same meaning. I have tried a few of those, yes they do work to an extent; the only problem is that there is usually a database of synonyms to set up before you begin. Quite a large learning curve in other words. I would never use an article spinner on a PLR article, I just think it's much quicker to do it manually. However, there is one set of circumstances where a good content spinner would be useful. That is if you wanted to submit several slightly different version of one article to many article directories. You would do this to avoid Google's so-called “duplicate content penalty”. It is rumored, but never successfully proven, that if you submit your identical article to many (and by that I mean over too) article directories a lot of the backlinks are not counted by the search engines. Many respected marketers take the opposite view, that the “duplicate content penalty” doesn't exist. My own view is that I have never found this to be a problem. Usually I will only submit to the 4 main article directories mentioned previously. If I'm not happy with the traffic I'm getting from there I might submit to another 10 or 20. 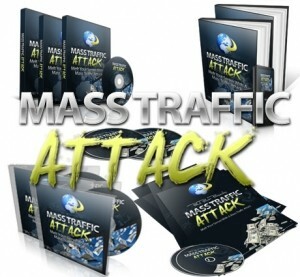 But you will find marketers submitting their identical articles to several hundred directories. The thing to do is monitor the traffic you are getting. If you want more, submit to more directories. If you are submitting your articles to just 1 or 2 directories, that doesn't take up too much time. You need to sign into your account, add your article title, main body and resource box. Two or three minutes of copy and pasting per site and you're done. However, suppose you want to submit 20 articles to 100 article directories. That would take you several hours. This is where software such as directory submitters can come in very handy. You create an account with various directories, set up your user name and password and copy that into your software. You need only do this once. Then you copy and paste your articles into the software and hit submit. The directory submitter will then go through your list of directories submitting each article in turn. It's not quite 100% automated in that you will have to click to confirm your submission on some sites, but it is a massive time save. Very highly recommended if you're going to be submitting a lot of articles to a lot of directories.